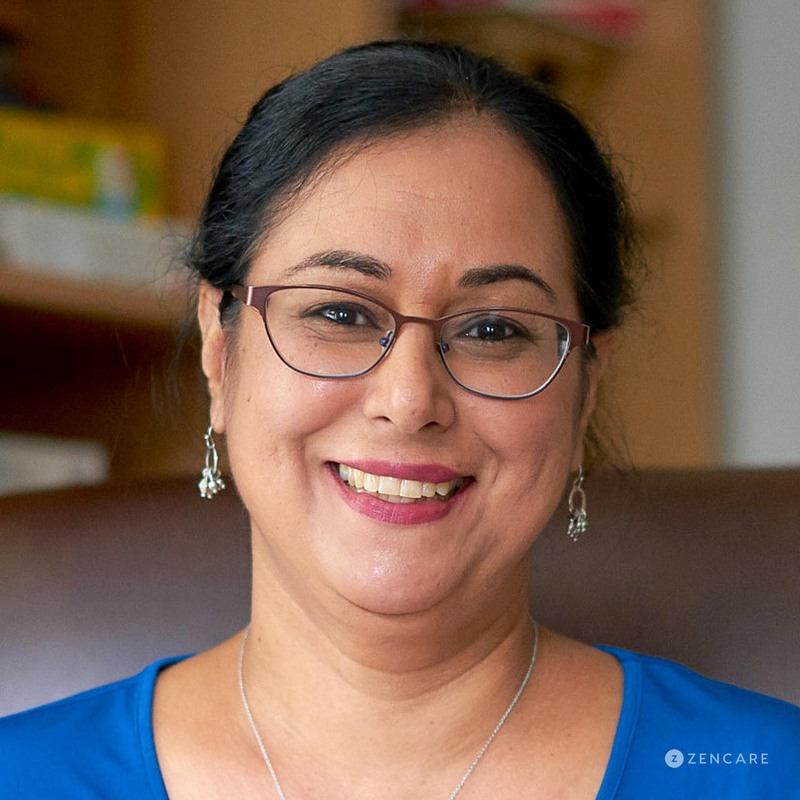 Gurpreet Singh is a Licensed Independent Clinical Social Worker in Lexington, MA with expertise in anxiety, depression, relationships, Asian-American identity, adolescents, and personality disorders. She sees children, teenagers, young adults, college students, adults, couples, and parents. Gurpreet provides therapy for both adolescents and adults. When working with adolescents, college students, parents, or adults, Gurpreet helps to enhance self compassion, balance, and all-around awareness. She will work to help you gain more confidence and joy in relationships, academics, career, and your overall life. Therapeutic techniques are based on individual’s needs. Gurpreet is open to people of any sexual orientation, religion, ethnic or racial background or gender identity. She creates a safe and productive space for each client to understand the root of their challenges and move in a positive direction. Sliding scale: A sliding scale of $100 - $155 is offered to clients who need a reduced fee to receive therapy. Therapist's note: Gurpreet can provide you with paperwork for reimbursement from your insurance company if you are seeking out-of-network sessions. "You may find that you are dwelling in the past or worrying about the future. Whatever your situation, I will work with you to help understand both your conscious and unconscious thought patterns and how your mind works overall, so you can enjoy the present moment, feel more enriched in your daily life, and move in a positive direction."